Russian director Kirill Serebrennikov is finishing his 1980s rock epic Leto (Summer) about music legend Viktor Tsoi under house arrest, the film’s producers have confirmed. 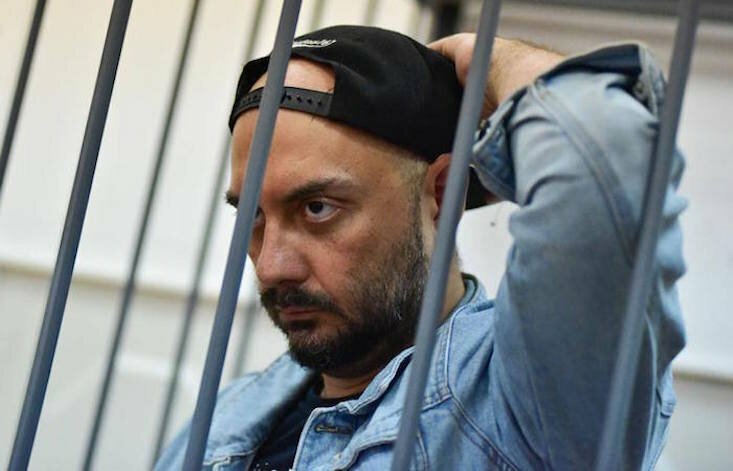 Serebrennikov, who was directing the film when he was as part of a controversial fraud case in August 2017, is editing footage from his apartment in Moscow. Leto follows the blossoming underground rock scene in the Soviet city of Leningrad — now modern-day St Petersburg — in the summer of 1981. The film focuses on Russian rock legend Viktor Tsoi and the love triangle between the young musician, his mentor Mike, and Mike’s wife Natasha. Filming was completed using the director’s technical notes and feedback from prior rehearsals with the director. French cinema company Charades will start selling distribution rights at this year’s Berlin film festival. Serebrennikov, who also directed film festival releases The Student (Uchenik) and Betrayal (Izmena), is better known as one of Russia’s leading theatre directors. The 48-year-old was arrested last year after being accused of embezzling more than a million dollars in state funds for a production authorities claim never went ahead. The case has sparked outrage in Russia’s cultural circles, with critics condemning the case as politically motivated. Many of Serebrennikov’s supporters have alleged that the accusations are part of a government-sponsored “crackdown on the arts”, fuelled by anger against the Gogol Centre, the progressive Moscow theatre where Serebrennikov worked, and the director’s outspoken criticism of the Kremlin and defence of LGBT rights.